According to tradition celebrated around the world, Jan. 6 marks the arrival of three wise men bearing gifts for the baby Jesus. 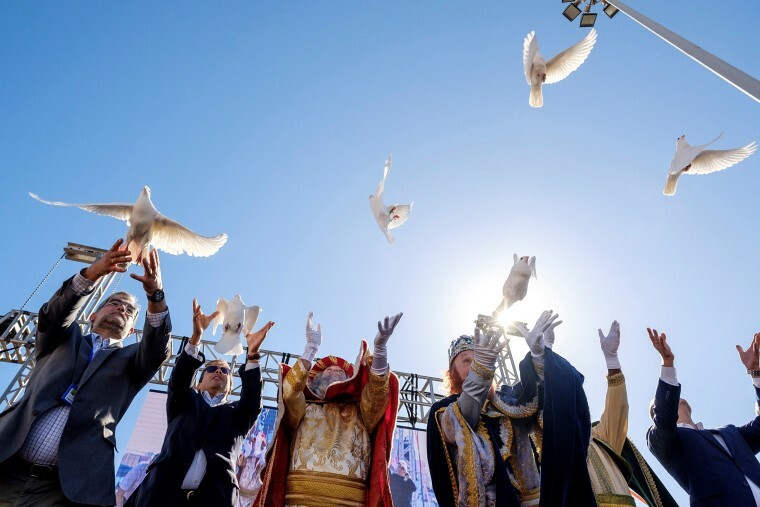 Men dressed up as Gaspar, Balthasar and Melchior, the Three Wise Men, greet children during the traditional Epiphany parade in Malaga on Jan. 5, 2018. 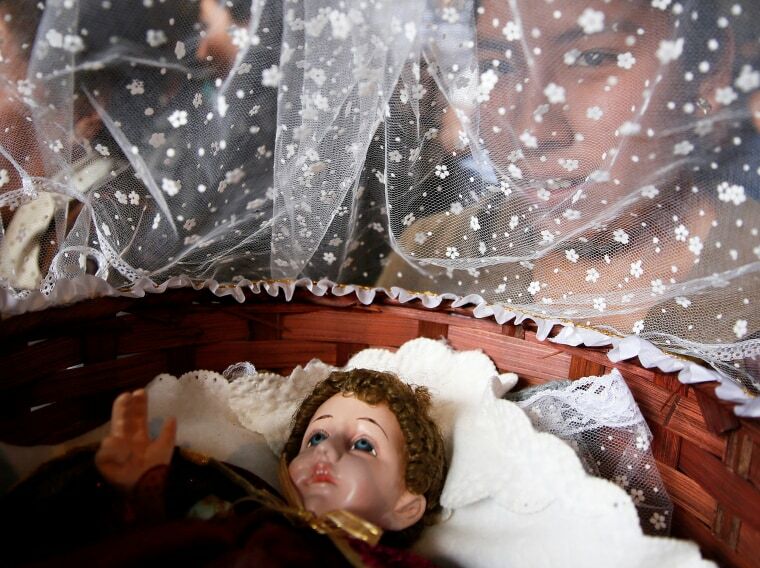 A woman holds a statue of Jesus Christ during a traditional Catholic mass on Three Kings' Day in La Paz on Jan. 6. 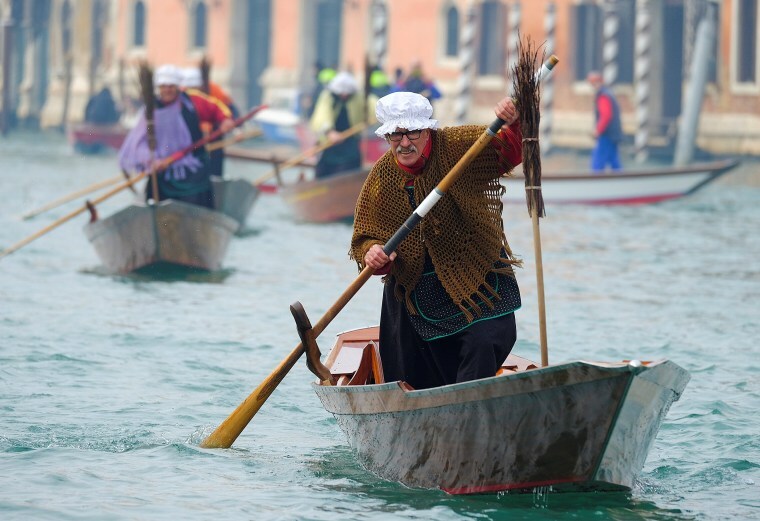 Men dressed as "La Befana", an imaginary old woman who is thought to bring gifts to children during the festival of Epiphany, row boats down the Grand Canal in Venice on Jan. 6. A group of children singing carols arrive to meet German President Steinmeier and his wife at the President's residence, Bellevue Palace, in Berlin on Jan. 6. 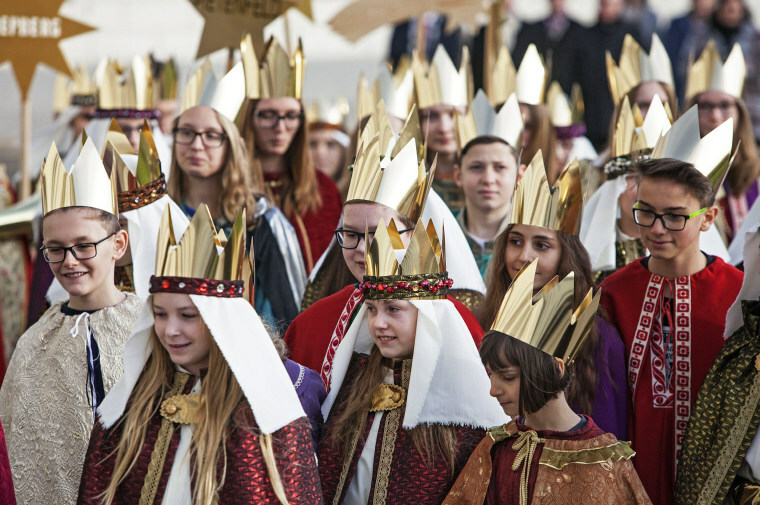 Children dressed as the Magi traditionally visit the German President's residence while they collect donations for the needy on Epiphany. The event was held under the title 'Together against child labor' in which he donated money that will be directed to tackle the issue in northern India. Greek Orthodox swimmers kiss a wooden cross retrieved from the Bosphorus river's Golden Horn, as part of celebrations of the Epiphany day at the Church of Fener Orthodox Patriarchate in Istanbul, on Jan. 6. 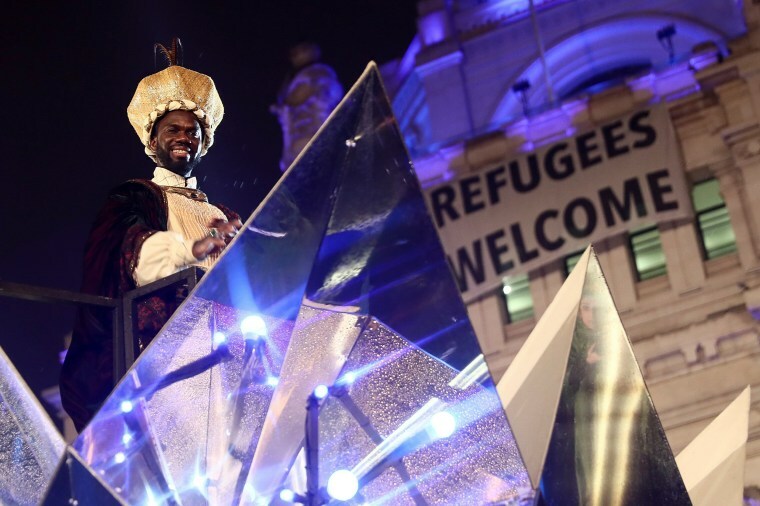 King Baltasar arrives at Madrid's Town Hall during the Three Wise Men procession in Madrid on Jan. 5. 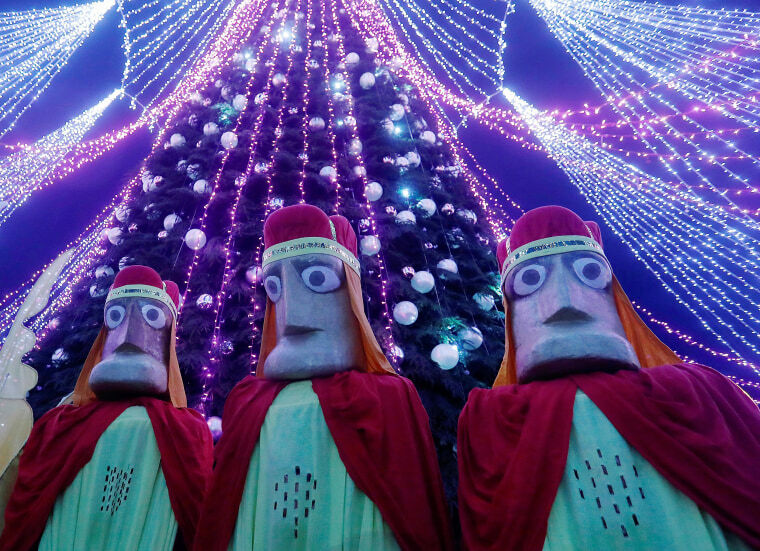 The arrival of the 'Reyes Magos' (Three Wise Men) marks the end of the Christmas season and celebrates Epiphany, which in Spain is the day when children and adults traditionally receive their Christmas presents. 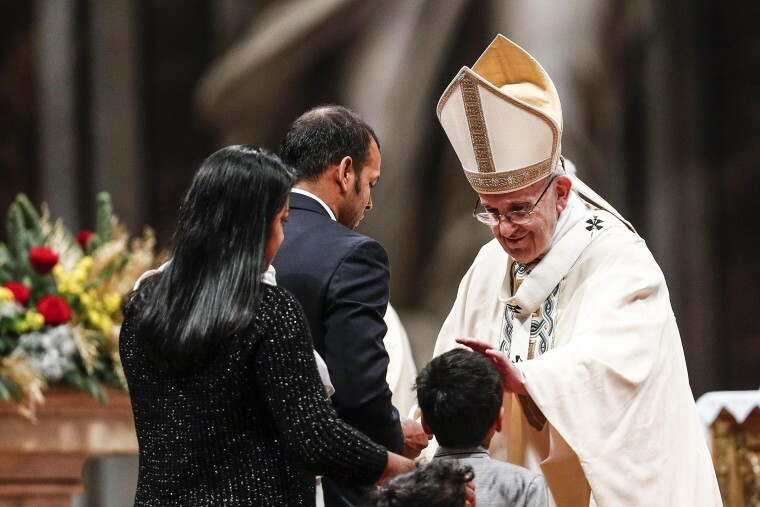 Pope Francis greets a family as he leads the Epiphany Mass in the Saint Peters Basilica on Jan. 6. 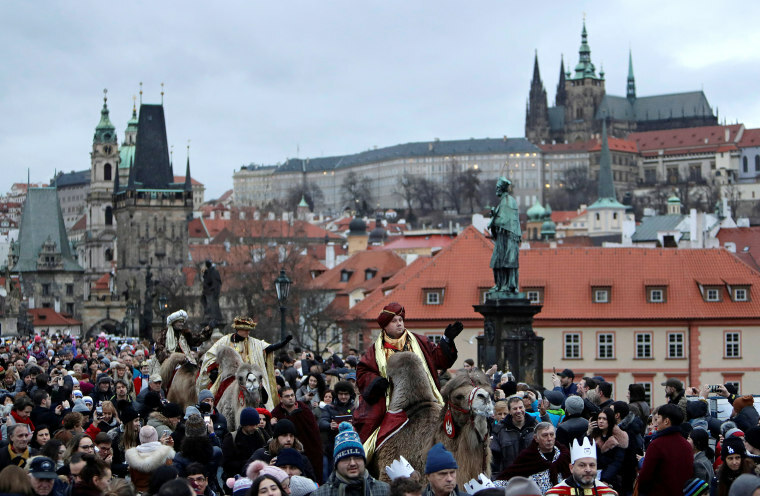 Men dressed as the Three Kings greet spectators as they ride camels during the Three Kings procession across the medieval Charles Bridge in Prague on Jan. 5. 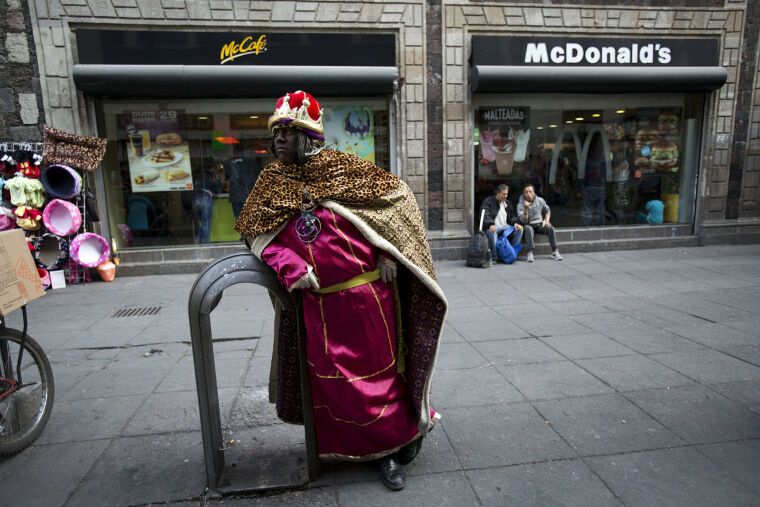 Performance artist David Antonio Lopez De La Fuente Campos, dressed as one of the Three Kings, waits for families wanting to pose for souvenir photos on the eve of the Epiphany in the historic center of Mexico City on Jan. 5. 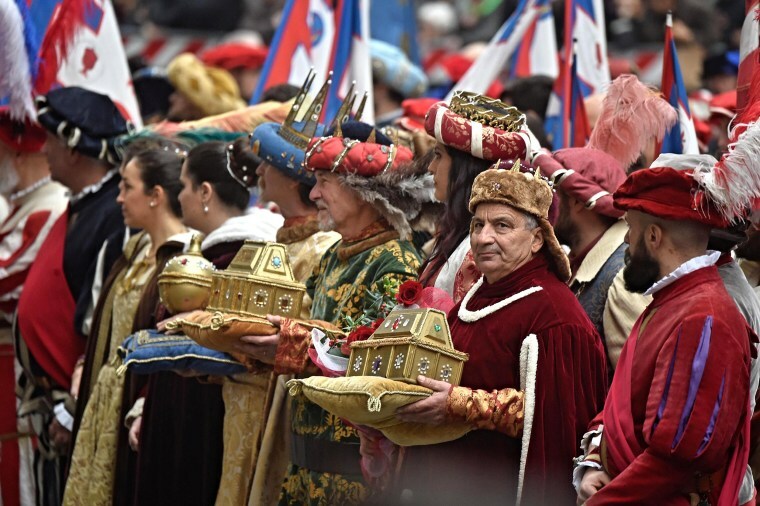 People role-playing as members of the royal entourage await the arrival of the Three Kings before the start of the Epiphany parade in Gijon on Jan. 5. One king of The Cabalgata Los Reyes Magos (Cavalcade of the three kings) prepares to takes part during the cavalcade the day before Epiphany in Pamplona on Jan. 5. 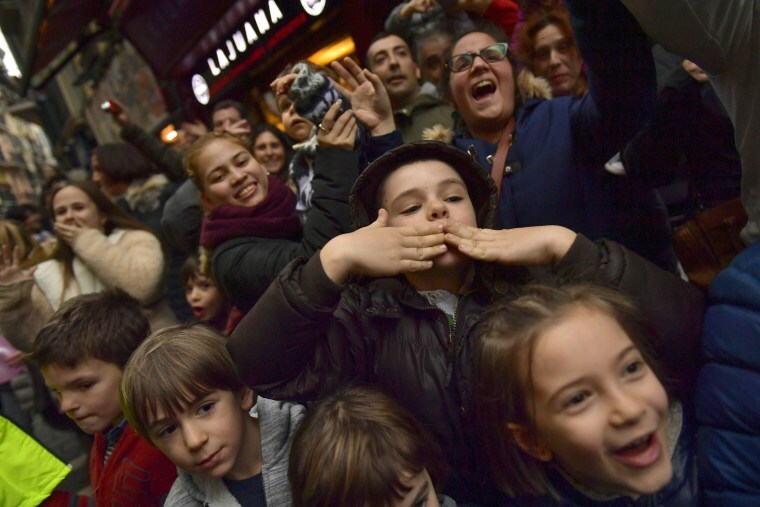 A group of children wave the Tree Kings a they arrive to the old city during The Cabalgata Los Reyes Magos (Cavalcade of the three kings) the day before Epiphany in Pamplona on Jan. 5. 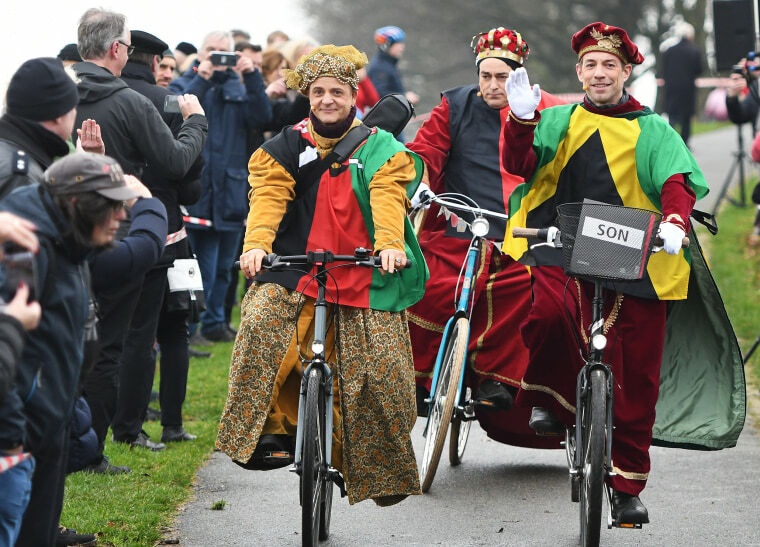 The Three Kings on bikes during the traditional Eiswette (Ice Bet) ceremony in Bremen on Jan. 6. During the traditional event a taylor with a hot flat iron must cross the Weser river without wetting his feet. As the Weser is almost never solid frozen in winter, the tailor normally boards a boat of the sea rescue service. 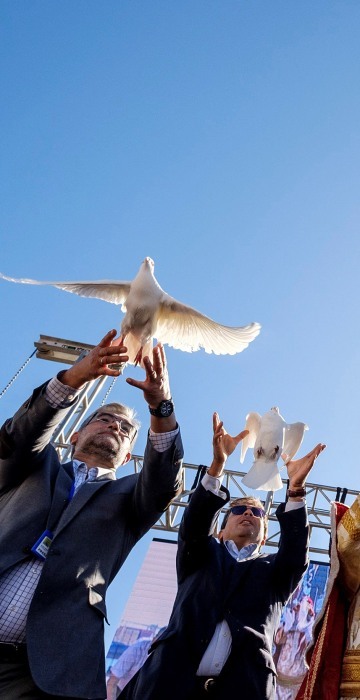 The 'Three Wise Men' Melchior, Gaspar and Balthazar release white doves prior to the start of the Twelfth Night procession in Las Palmas de Gran Canaria, Canary Islands on Jan. 5. 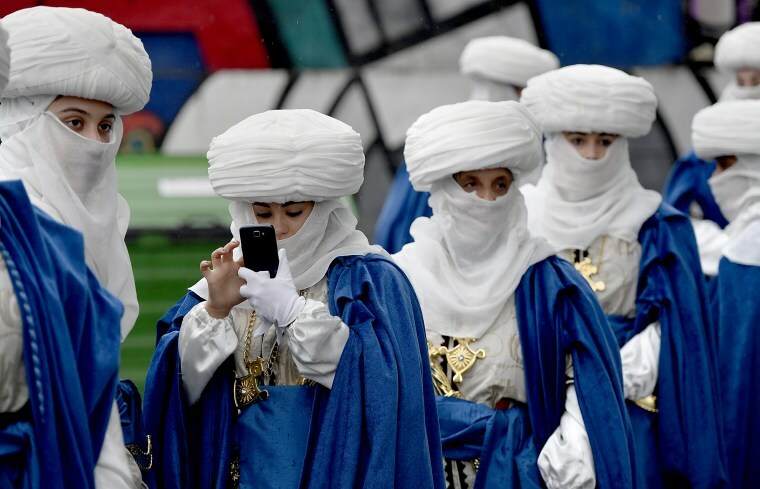 A girl dressed up as an emissary of the Three Wise Men waits for their arrival in a helicopter to take part in the traditional Epiphany parade in Ronda on Jan. 5. 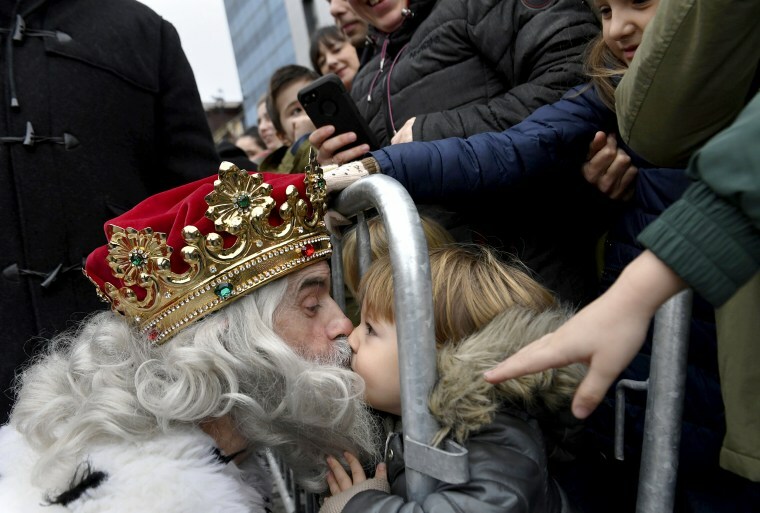 A man dressed as one of the Three Wise Men kisses a child upon arriving at Poniente beach in Gijon on Jan. 5. 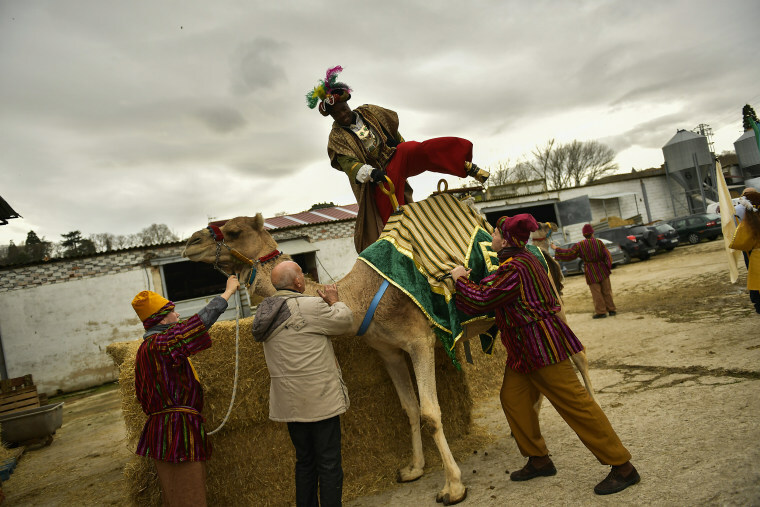 People dressed as the Three Kings parade through the streets during the Epiphany Day celebrations in Vilnius on Jan. 6. 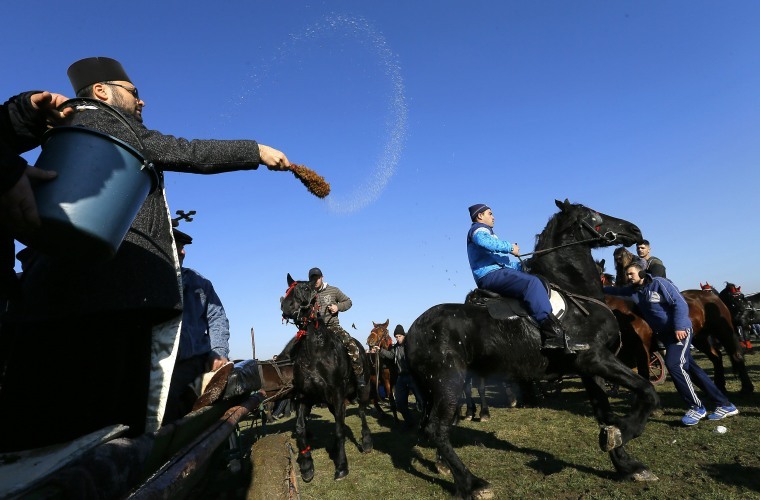 A Romanian Orthodox priest blesses the riders and their horses before they compete in the Epiphany race held in the village of Pietrosani on Jan. 6. People from Pietrosani and surrounding villages have their horses blessed on Epiphany. After the blessing, the horses and their riders, accompanied by community members, take part in a race on the outskirts of the village. 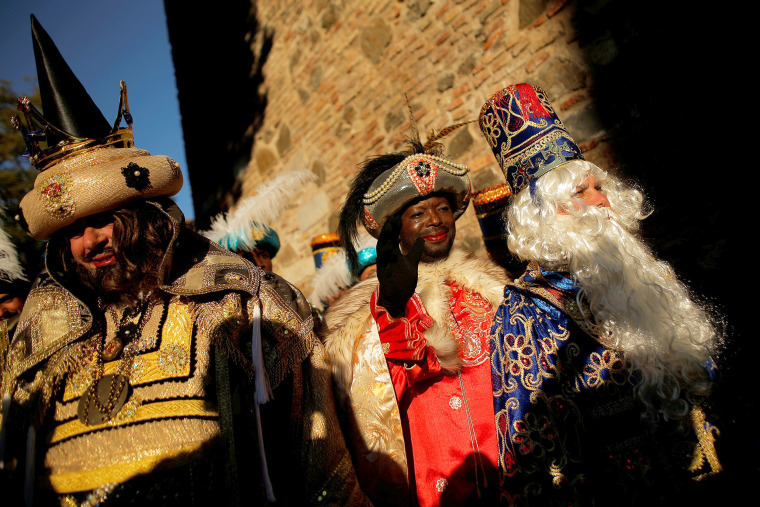 Impersonators of the Three Magi, Caspar, Melchior and Baltasar, bring the presents (gold, incense and myrrh) during the 'Ride of Three Magi' for the feast of Epiphany in Florence on Jan. 6. 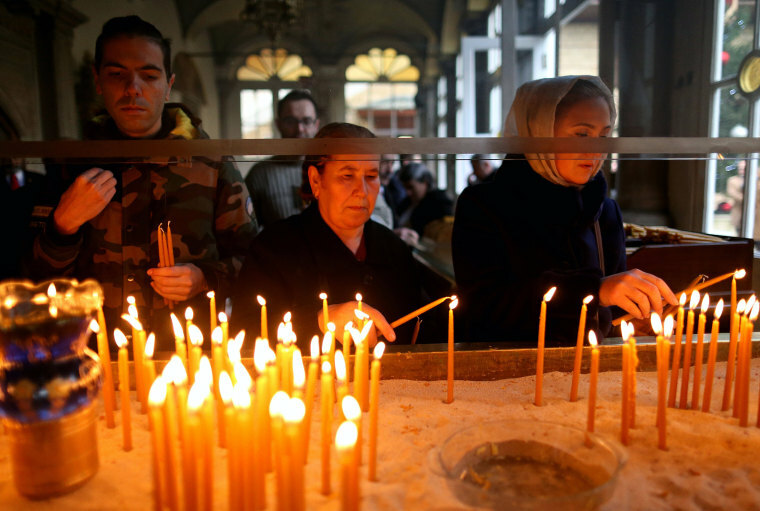 Greek Orthodox people lights a candle at St. George's Chruch during the Epiphany Day ceremony in Istanbul on Jan. 6. 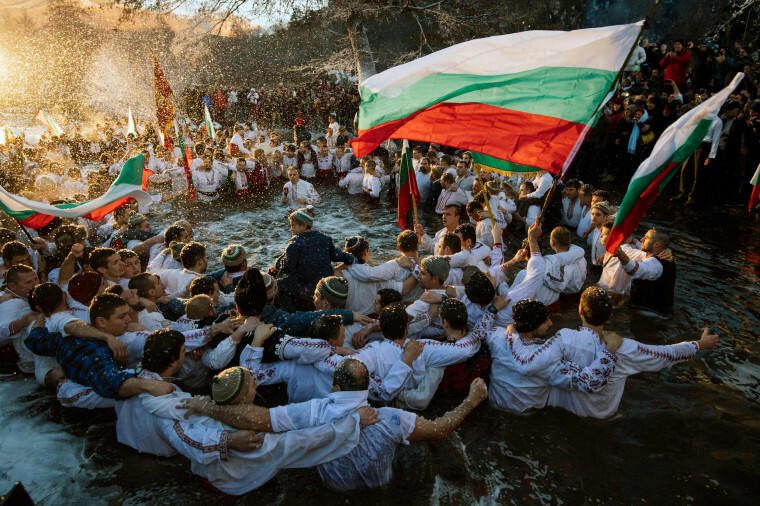 Men hold up the Bulgarian flag as they dance in the cold winter waters of the Tundzha River in the town of Kalofer on Jan. 6 as part of the Epiphany Day celebrations. 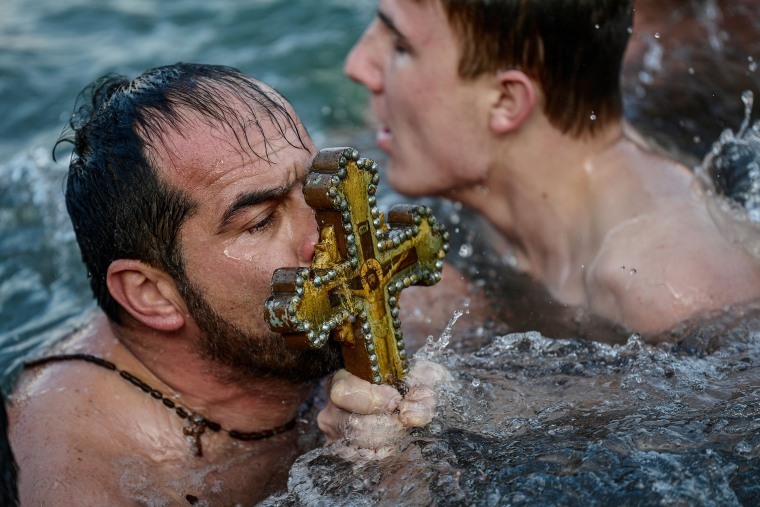 As a tradition, an Eastern Orthodox priest throws a cross in the river and it is believed that the one who retrieves it will be healthy through the year as well as all those who dance in the icy waters. 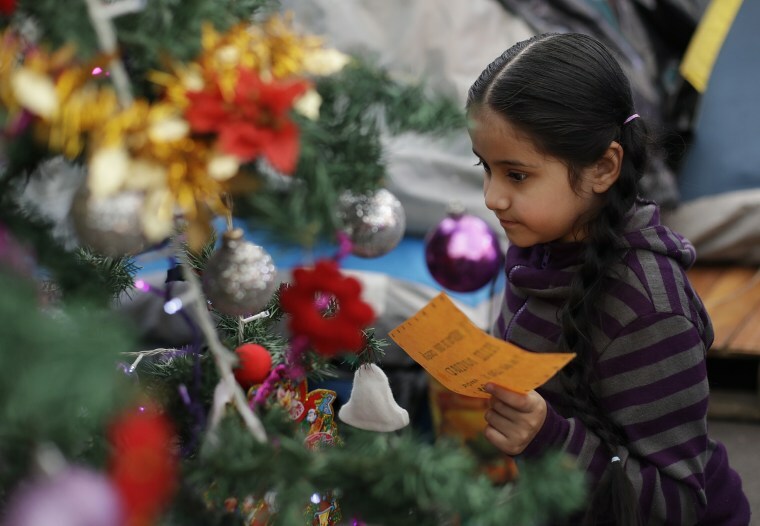 A girl reads a note placed on a Christmas tree inside a tent camp where residents of Calle Independencia 18 have been living since their apartment building was heavily damaged in the September earthquake, in Mexico City on Jan. 5. In Mexico, it is customary for gifts to be given on Three Kings Day, Jan. 6, rather than Christmas Day. Children leave notes on the tree to request a present.